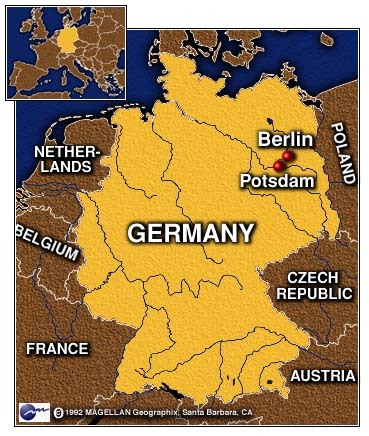 POTSDAM, Germany (CNN) -- The United States on Wednesday imposed economic sanctions on India for its series of underground nuclear tests. 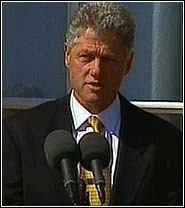 The formal announcement from a "deeply disappointed" President Clinton came hours after India conducted two more nuclear tests, just days after setting off three blasts that outraged much of the world. 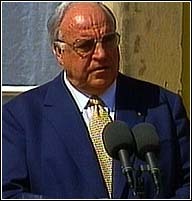 "I believe they (the nuclear tests) were unjustified," the president said outside the Sanssouci Palace in Potsdam, Germany, after meeting with Chancellor Helmut Kohl. "They clearly create a dangerous new instability in their region and, as a result, in accordance with U.S. law, I have decided to impose economic sanctions against India," Clinton said. Sanctions are mandatory under U.S. law when an undeclared nuclear state explodes a nuclear device. In hopes of averting an arms race in southern Asia, specifically in next-door Pakistan, Clinton urged India's neighbors "not to follow the dangerous path India has taken." State Department spokesman James Rubin said the president is sending Deputy Secretary of State Strobe Talbot to Pakistan to ask that nation to show restraint. The decision to send Talbot came after Clinton telephoned Pakistani Prime Minister Nawaz Sharif early Wednesday and asked him "not to respond to an irresponsible act in kind." Pakistan has promised to match any nuclear advances by India. The two nations have fought three wars since 1947. Have India's nuclear tests brought apocalypse closer? Congress: Why didn't CIA know about Indian tests? End all U.S. assistance to India except humanitarian aid. U.S. economic and humanitarian aid amounts to about $142 million a year. Bar the export of certain defense and technology material. End U.S. credit and credit guarantees to India. Require the United States to oppose lending by international financial institutions to India, which borrowed about $1.5 billion from the World Bank last year. "It is imperative that we make clear our categorical opposition. We will ask other countries to do the same," Clinton said after meetings with Kohl. The German leader said his nation would take a "fresh look" at sanctions against India. Referring to the tests, he said, "This was the wrong decision for them to take. We do not accept that decision." 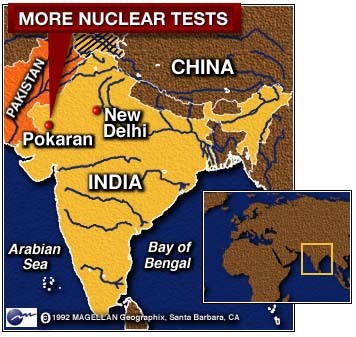 India has refused to sign the global test ban treaty approved by the United Nations in 1996, arguing that the treaty benefits nations, including the United States, that already had tested and refined sophisticated nuclear weapons. India, along with Pakistan and Israel, was already one of the three nations widely suspected of nuclear capability that have not joined the 1970 Nuclear Nonproliferation Treaty. On Wednesday, India announced two additional successful underground nuclear tests, bringing it closer to being able to develop a nuclear weapons defense system. The action brought international condemnation but has been popular in India.